Morning folks! It's time for Christmas Card Club today so that's another fortnight sped past. It was my turn to choose the theme for today's challenge so of course I chose Clean & Simple. I love this style and hope I've done it justice with this card. If you would like to join our select group of ladies who like to get ahead with their Christmas cards, please get in touch with any of us on the list on my sidebar, you'd be most welcome. Hi Anne. What a great Christmas Tree Image. It suits CAS perfectly. Lovely card. This is so cute and CAS, love it it is great. 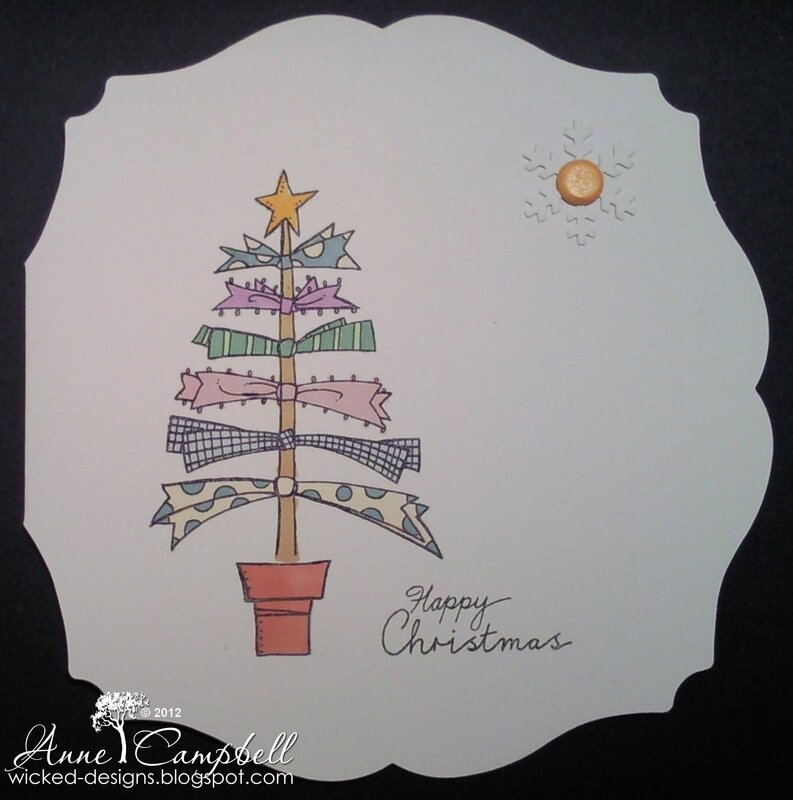 Hi Anne, love the shape of your card and the tree is fabulous. A perfect CAS Christmas card Anne. I love the Christmas stamp. Aww what a great image ! Lovely card. Well you can certainly do CAS mrs. This is just gorgeous! A gorgeous card! Love the tree - very unusual! Anne, love the christmas tree with ribbons. I am sitting watching craft TV that is doing crafter christmas in June and I thought of you and thought i would pop over and say 'hi'. One of my favourite Woodware Christmas sets!! Love how you have used it!